Haddonstone Show Gardens is a walled manor garden located beside the parish church of East Haddon village. The garden is primarily a showcase for Haddonstone garden ornaments (classical planters, statuary, birdbaths, and the like) but makes for an enjoyable visit in its own right. The show gardens have been featured on BBC Gardeners World, and include tiered areas with conifers, climbers, clematis, and shrub roses. 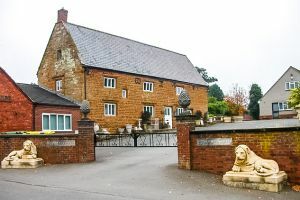 Location: In the centre of East Haddon, 7 miles north west of Northampton off the A428.